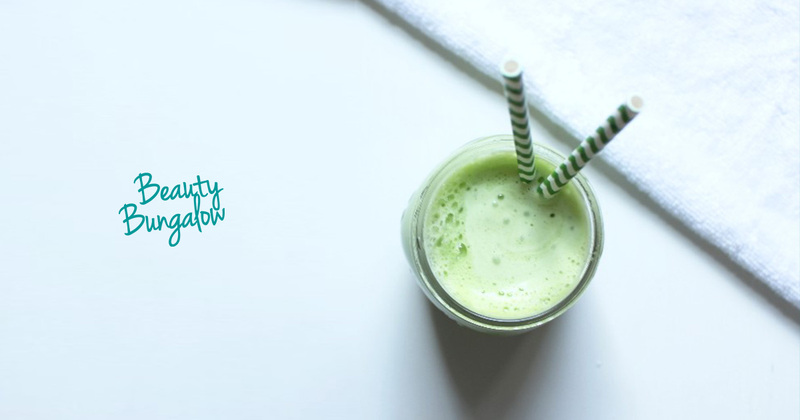 Filled with alkalizing ingredients like spinach and lemon, this green spring smoothie helps to balance pH levels and quench skin with every sip. 2 cups coconut water | filled with electrolytes and minerals to keep skin healthy and hydrated. 1 cup spinach | high in phytonutrients, flavonoids, and vitamin K which helps to strengthen and repair broken capillaries. ½ banana, frozen | B vitamins and potassium moisturize cells. Amino acids fortify connective tissue and keep skin soft. ½ lemon, juice | great source of vitamin C which helps to build collagen. ½ inch fresh ginger | potent antioxidant and anti-inflammatory that aids in digestion and has been shown to fight seasonal cold and flu.